Soulcalibur VI is the seventh installment in the fighting game franchise. The game itself takes place in the 16th Century between the years 1583 and 1590 and is a reboot of the series. Soulcalibur 6 goes back to the beginning and revisits the events of the original Soulcalibur while also adding new scenarios, characters and general changes to the story, starting a new timeline. 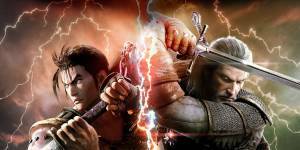 The main story will revolve around the battle between the cursed sword, Soul Edge and the spirit sword, Soul Calibur, as well as having an individual storyline for each character. New features for Soul Calibur 6 include the addition of Talim the tonfa-weilding Last Priestess of the Winds to the roster and Soul Chronicle Story mode. No discussions open for Soulcalibur VI at the moment.